Turban Tadka | Foodfood Channel | Chef Sanjeev Kapoor. The true flavor of Punjab! This show is all about maa ki daal and makkai di roti! Rustic and rooted in the cooking traditions of India. 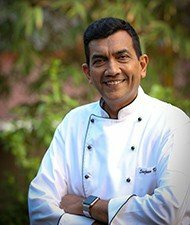 Chef Harpal Singh Sokhi, known as the most entertaining and energetic chef, takes you on a gastronomic journey in his funny and lively manner. It not only reveals the cooking secrets of authentic Indian food but also the use of ingenious ingredients. A show with lots of Namak Shamak and oodles of fun. Harpal style!